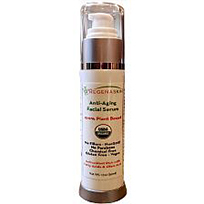 The Anti-Aging Skin Regenerator consists of 100% natural Fulvic ionic minerals along with essential anti-aging amino acids, which regenerate skin cells and deliver complex nutrients necessary for healthy, youthful & glowing skin! Benefits include: – Revitalizing skin cells – Naturally smoothes mature skin – Promotes a healthy & youthful glow – Replenishes lost minerals – Detoxifies – Brings relief from psoriasis and eczema – Relieves burns, acne, rashes, bug bits, and other skin conditions. Fulvic minerals are known as the miracle molecule; for their ability to heal, regenerate cells and restore lost youthfulness. 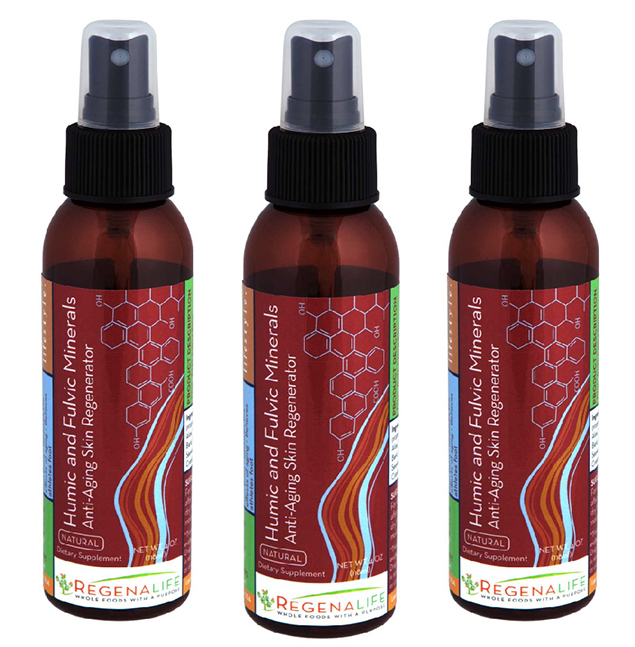 Our natural Anti-Aging Skin Regenerator will aid your skin to look and feel smoother and firmer, naturally diminishing signs of aging. Also great for your Hair! Fulvic Minerals, Aloe, Witch Hazel, Black Willow Bark, Green Tea, Sugarcane, Seaweed, Mango, Pineapple and Cranberry Extracts. RegenaLife is a company I've trusted for a long time. They make a bunch of amazing products, but my latest obsession is their Humic and Fulvic skin spray, which is loaded with micronutrients that are quickly absorbed into your skin. What do Humic and Fulvic; mean? Well, here's the easy answer: before our soils became over-farmed and filled with pesticides, there were essential minerals in the earth that imparted our food with health-boosting properties. 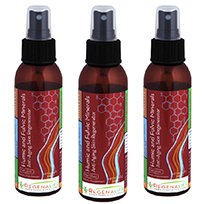 This spray is like taking those age-old minerals straight from the soil, into your skin. They are completely organic and contain compounds that remove toxins and boost immunity, energy, and promote cellular regeneration; which translates into healthy, glowing, younger-looking skin. Just spray it on after a bath or shower, when your pores are most ready to absorb these minerals. Not only will you feel better—your skin will look better. That's millions of years of real, healthy, organic soil at work. I am absolutely obsessed w the mineral spray, the hyaluronic cream, and the organic facial serum. They have plumped my skin and helped get rid of sun spots. 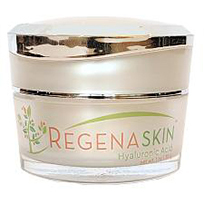 At 49, I am truly appreciating what these products have done to help me maintain a youthful appearance. Humic fulvic spray is one of the best products my wife and I have used. It helps tremendously with blemishes and sunspots. Great job with this one!